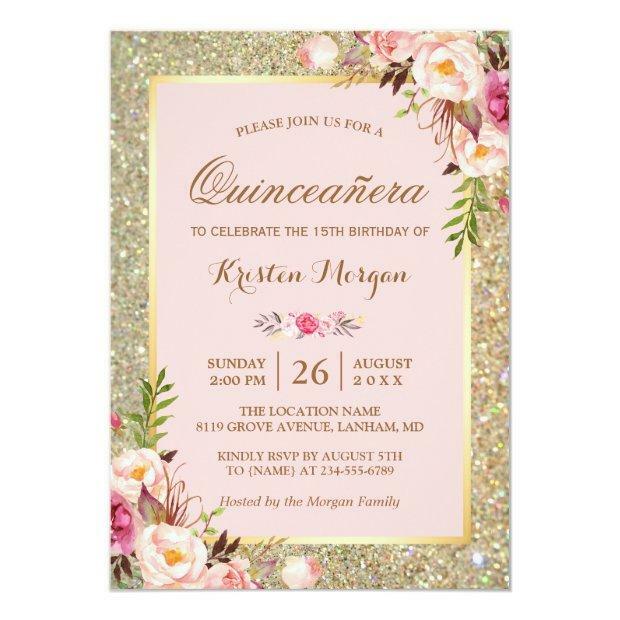 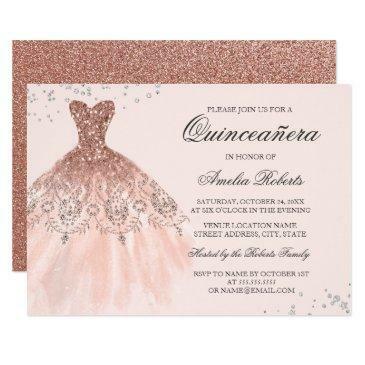 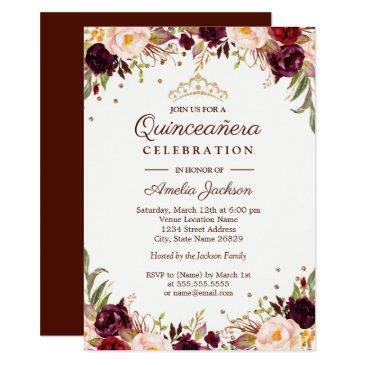 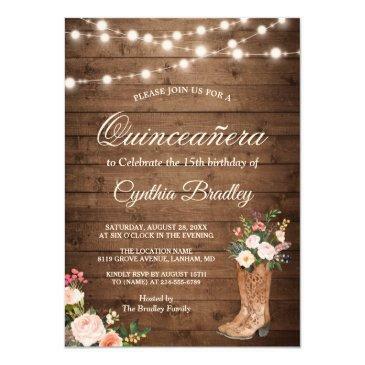 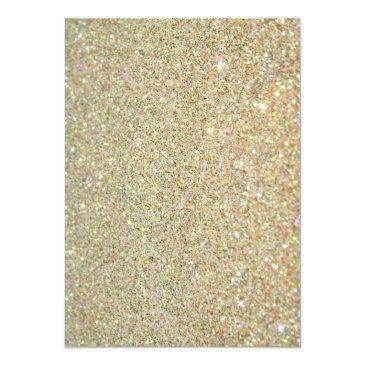 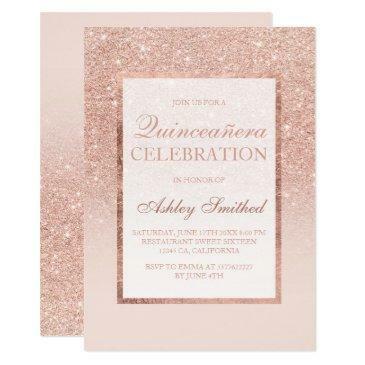 ================= ABOUT THIS DESIGN ================= Quinceañera Birthday | Pink Floral Gold Glitters Invitation. 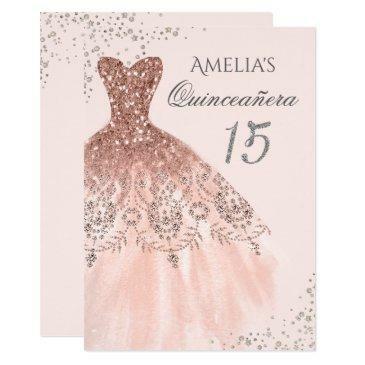 (1) For further customization, please click the "Customize it" button and use our design tool to modify this template. 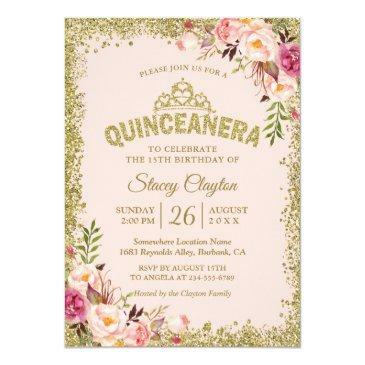 All text style, colors, sizes can be modified to fit your needs. 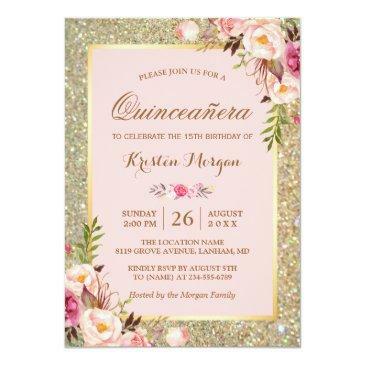 (2) If you need help or matching items, please contact me.